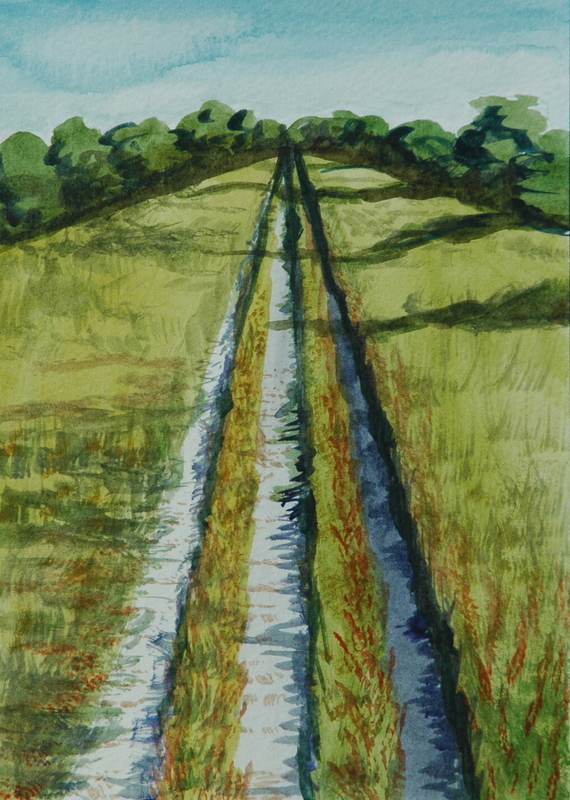 This 7" x 5" original watercolor painting depicts one of the many fire roads carved through the open, uncultivated areas of Martha's Vineyard Island off the coast of Cape Cod. Every summer, my family and I vacation on this island rich in nautical and agricultural history. I've come to love the slow pace of island life and the friendly people who have a real appreciation for the land. This watercolor painting sells without a frame but will require matting and UV protectant glass to preserve its color and quality over time.